This workshop brings together researchers, clinicians, and practitioners in the fields of psychology, psychotherapy, dance, and contemporary embodied practices, to discuss and explore the role of motor empathy, i.e., kinesthetic empathy, in successful social interaction. Toward that aim theory and practice will be brought together. We will explore synchronization and imitation in movement as well as self-other-differentiation processes in order to understand what kinesthetic empathy is and how it is cultivated. The workshop is inspired by a growing body of research and the increasing number of scholars and practitioners who are engaging with kinesthetic empathy as a pivotal concept across different disciplines central to the understanding of mental disorders involving social cognition dysfunction such as autism, personality disorders, and post traumatic stress disorder. The workshop is open to all with a special invitation to practitioners in the mentioned areas of expertise, adults and teenagers with relevant conditions as well as their parents/caregivers. Children are not excluded, it depends on each case, please contact us. The workshop will be in English and Greek. Isabel is a professor of “Social Cognition“ at the Berlin School of Mind and Brain at Humboldt-Universität, Berlin, Germany. Her interests and work lie in the field of clinical psychology, focusing on disorders with impairments in social interaction such as autism, social anxiety, and personality disorders. Furthermore her work lies in the field of social cognitive and affective neuroscience, focusing on the biological basis of empathy, emotion recognition, and mentalization processes. As an experimental psychologist and board certified psychotherapist Isabel is interested in both understanding the mechanisms of (dis)order in social information processing and in the development of treatment options for those with respective impairments. The methods that she is using encompass movement and video-based tests and trainings of social cognition, structural and functional Magnetic Resonance Imaging of the brain, eye tracking, and peripheral physiology measures such as skin conductance measures. Isabel recently started an outpatient clinic for individuals with social interaction disorders. She won several prizes for her scientific work such as the Charlotte and Karl Bühner prize of the German Society of Psychology, and has published more than a hundred articles in peer reviewed scientific journals. Autism is a developmental disorder that involves core deficits in interacting with others and especially in the understanding of others’ mental states. 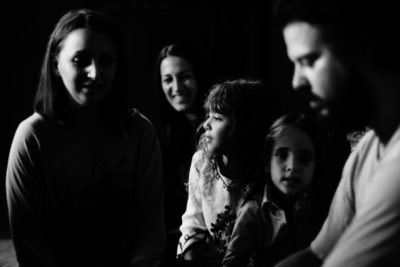 In this presentation I will provide an overview of autism, its diagnosis, comorbidity, movement abnormalities, and social cognition impairments and of the strengths of autistic individuals. Furthermore I will focus on the different ways by which we empathize with others with an emphasis on body-based mechanisms such as synchronized movement and imitation as well as self-other-differentiation mechanisms. I will show studies that were conducted in my department over the past decade involving children and adults with and without autism and other mental disorders involving social interaction dysfunction. Among others I will present data on interventions to foster empathy and social cognition via dance-movement interventions. 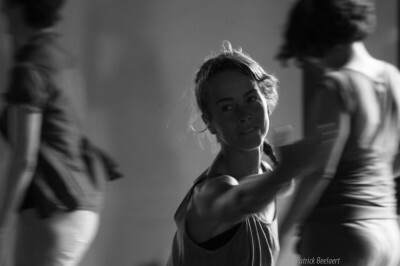 Zoë is a dance and movement practitioner and teacher. Her area of expertise is nurturing kinesthetic and proprioceptive intelligence in artistic, educational and therapeutic contexts. For the past 20 years she performs, choreographs and teaches with all ages with and without particular conditions. She works with dancers and ‘non-dancers’, musicians, families, athletes, autistic children, pregnant women, babies, couples, dying and terminally ill people, injured people, people in chronic pain or with neurological damage and degenerative diseases. She is the originator of Ensoma; an amalgam of dance and movement methods, improvisation, choreological study and therapeutic bodymind techniques. Ensoma cultivates perception, awareness and management of the bodymind and re-connects us with the wisdom we embody evolving our contact with our common sense, aesthetic intelligence and instincts. Zoë believes in the capacity to evolve beyond what we have become accustomed to accept as our human limits. Usually when we consider empathy we think of mental, emotional and social behaviour issues. When we consider how to deal with a lack of empathy, we usually think of how to deal with deficits and dysfunctions in a person’s psycho-mental and social interaction mechanisms. Usually we approach all this from a cognitive, socio-behavioural and emotional point of view. In this workshop we will practice, experience and nurture empathy from the physiological point of view. We will explore how expanding our movement choices in everyday life and the way we interact with each other in space, in motion, can expand and develop our sensual ability to feel ourselves and others. We will feel in the body what happens when the neurological system is allowed to operate to its full capacity of perceiving the self in relation to others and others in relation to the self. Si lke is a member of the “Social Cognition Group“ at the Berlin School of Mind and Brain at Humboldt-Universität, Berlin. Currently she’s working on a dissertation project in which she focuses on the psychological healthcare needs of autistic adults, their experiences with outpatient psychotherapy, and the current state of access to knowledge for the treatment of this patient group that psychotherapists have during their training. Silke conducts her research mainly in co-production with the first and only participatory research group on Autism in Germany, the Autism Research Cooperation, of which she has been an active member for many years. She received her Asperger Autism diagnosis when she was 33. She actively propagates knowledge and mutual understanding about autism and the mindset and behaviour this condition may lead to through lectures, workshops and trainings for professionals and others-from a scientific point of view as well as from her own personal point of view and experience. Kalliop i is a mental health facilitator, special educator and specialised kinesiology and systemic constellation practitioner. For decades she has worked with all ages and a wide variety of mental health conditions, including autism. Through her work she learned to appreciate and respect the diversity of people’s limits and potential and realized how important security and emotional safety is for the development and expression of mental potential. Since 2002 she has been working with the “3in1 Concepts” method, reducing emotional stress and promoting people’s reconnection with their sources of strength and creativity. Combining all her expertise and experience with Bert Hellinger’s Systemic Constellation her research in empathy takes “being in someone else’s shoes” to a whole new level.